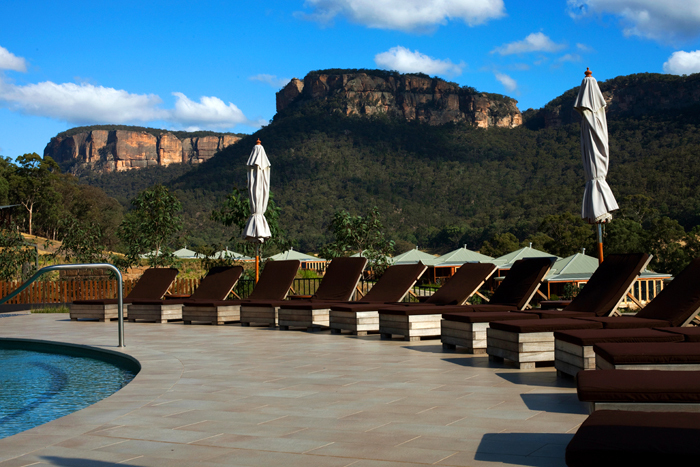 Recently, when we were in Australia we spent Garance’s birthday at a really great resort. The rooms, the spa, and the food were all wonderful, but all that interested me was mountain biking around the resort’s grounds. This is Chris, Garance’s assistant. Everywhere we turned was another photo-op. With the landscapes, animals, and food, this place truly made me fall in love wth the idea of photography outside of the big city. I took this picture while riding my bike very fast, too fast in retrospect, on a bumpy dirt rode. I’m surprised that I got even one shot in focus. Self-portrait of my shadow at sunset. The great/scary thing about these little grass-covered paths is that your bicycle moves so quietly that you can sneak up on a group of kangaroos before they even notice you. I wasn’t particularly interested in surprising any kangaroos, so we spent a lot of time singing very loudly while we rode. Human League anyone? I know that I’m a total city kid and I’m sure that some of you have wrestled bears and hunted dinosaurs, but for me, being this close to wild animals while on a mountain bike was pretty cool. I live in Sullivan County–you've got your pick of black bears, eagles, hawks, wild turkey, deer, porcupine, racoons, river otters…etc. C'mon up! So gorgeous … the Amish countryside is not too far from here, and it's pretty much boring as hell, plus they're super mean. You're right Scott, this is indeed a very beautiful part of the world; and I for one consider myself very lucky for growing up not very far away – although the area I grew up in was very much a "soft" area of the bush with lots of fruit, crops and wine being produced. Thank you for coming to visit our beautiful country. Australia is an amazing place and I am very proud to call it my home. I am originally from a rural area but have moved to the city in recent years. It is astounding the amount of beauty, that you can find in both places — contast as it might. You seem to have developed a bit of a complex after the Russian girl "Queens" post… you're apologising for being an insular city boy all the time now!! A gorgeous part of the world. 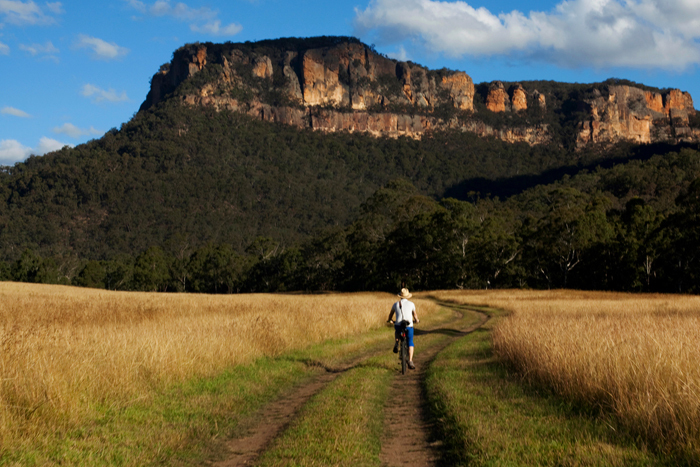 I grew up in 'the Blueys' (Blue Mountains – Katoomba in fact!) and never tire of the breathtaking, overwhelming beauty – the sounds, smells, sights and SPACE – of this amazing place. Tops photos! What about Australian outback said "Amish Country"? I'm only curious because I grew up/am half-blooded Anabaptist (aka Amish). And when you say Amish Country, that pretty much covers the whole greater Midwest. Chose very wisely. Holmes County, Ohio is the best, in my opinion. Ohioans are very friendly, and you would have to search long and hard to find a mean Amish Ohioan. lovely, thanks for sharing it with us! Thank you from one very homesick Aussie! as a natural-born Melbournian who has been living in Paris for the last 4 years, these photos have made me rather homesick. 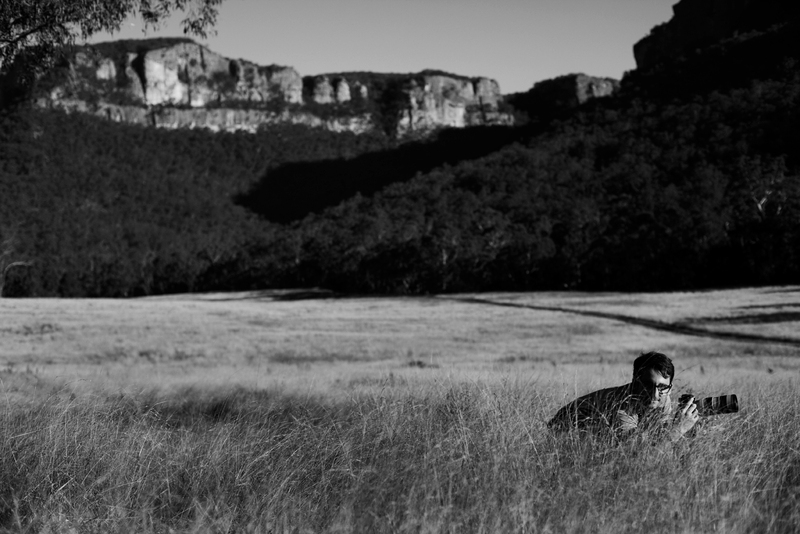 I want nothing more than to take my Italian husband to the Outback and show him natural beauty in its most ruggard state… happily, he too looked at these photos with piqued interest. It's sad as we spend so much time exploring bits of the northern hemisphere together and yet so little on what was my own 'back yard'. Just now we are finishing packing to go and visit his family in Venice … such a different world to that glimpsed in these photos. I both thank you and reprimand you at the same time. Or maybe the Swedish lakes? the first shot of the poolside is great. i love the almost black and white look to the other pictures of the fields. A man of many talents, to capture the urban and the wild with immaculacy, O to be gifted! The charmed are bashful, they bat their eyelashes, fingers crossed to simply catch the energy being exerted from the talented! Tease on, we'll keep smiling. I love the last black & white shot. It's reminiscent of the photos of my favourite photographer Jacques Henri Lartigue who was always compelled to do self-portraits (but only ever of his shadow). 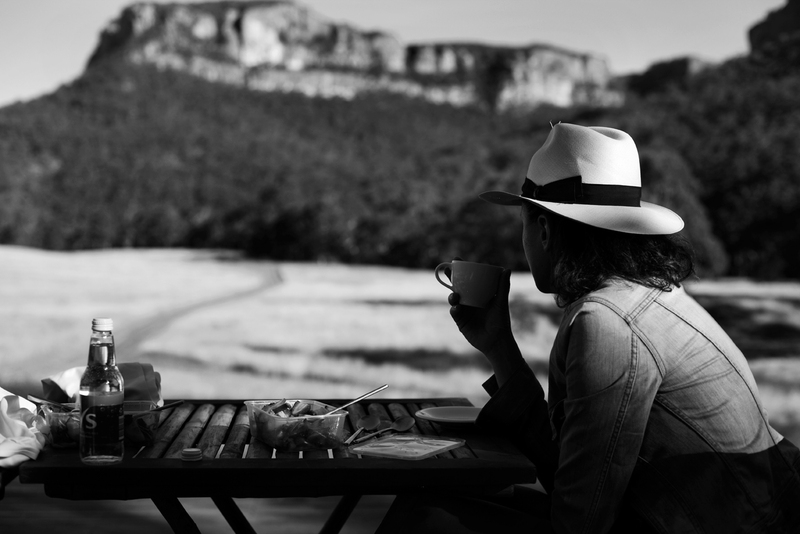 Scott and Garance, I'm so pleased you enjoyed your sojourn down under…. a lovely choice of resort! As 90+% of Aussies live in the city, the outback, half-back, mid-back, etc is often an exotic place to be even for us locals. If you can I suggest next time heading to the far north Queensland, like Port Douglas and Cape Tribulation for some tropical wilderness with maybe some fashion possibilities too! I recently listened to your interview on the Treatment, and really loved the way you talked about looking for people with style, rather than those following fashion and the photos you publish empowering your readers to be inspired to see their wardrobe in a new way…. Thank yo for your beautiful photos. A real pleasure to wakwe up to. love the black and white photography! Dammit, Now I feel homesick for New Zealand. London parks just can't cut it all the time. These are so gorgeous!! I'd say you're already pretty talented at landscape shots! i think you need to work on this quite a bit more, there are many good books out there though i doubt a book holds your answer. Your focus is off probably because in the portraits the focus (model) is obvious, these really lack the feeling and intensity that your best portraits have. Thanks for sharing your experiences beyond strictly sartorial observations. Could we (just once-in-awhile) get a shot of you on location? Am always curious to know what you are wearing. Great moments ! great pictures ! A poet once called these mountains "high and more fair than any earthly city – the walls of sapphire, the towers of burning gold". Thanks Scott for sharing the beauty. Chibi, there are several kangaroos in the last pic. I enjoy an occasional visit to your site, Scott, as I love the variety of your photographs and comments. 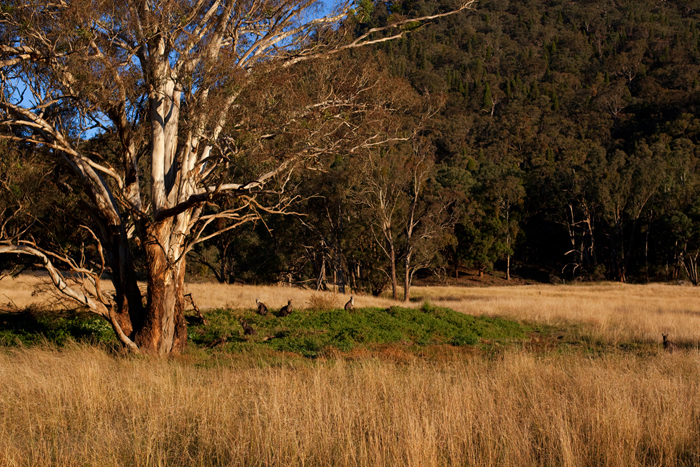 To my surprise today I discovered the Wolgan Valley where my father was born. Apart from its beauty, it has a fascinating history, including an experiment in shale oil mining towards the end of the valley. Lovely photographs. Nice change of perspective, I'm looking forward to see more landscapes with a Sartorialist twist. If there's anybody who could find something fashionable out there, in the wild, that would be you. You make the Aussie countryside look sweeeeet. Tasmania in mid-summer and mid-winter are well worth a look, too. I enjoyed this visit on your blog, see you soon Scott! Thank you for warming this cold Aussie in London with these lovely pics of home. The best thing about it is that because there's hardly any towns or cities, there's very little light pollution so the stars are breathtaking. When I first moved there I wondered why there was always a cloud in the same place in the sky every night, then my parents told me it was the Milky Way! Wonderful Australia, outback or halfback! I wish it was just a bit shorter flight from Europe..
Landscape and wildlife photography is an art by itself. They're both challenging and requires a lot of imagination. But your shots are great though. The kangaroos are really cute! wow! What a beautiful place! Great pics! I love how you managed to catch this special atmosphere. Maybe you could try the hudson river valley or the catskills. I've always wanted to go to that Oleana place. This artist has incredible landscape inspiration. Check it out…. This, actually, sounds good – a perfect escape from the city. Love the last photo most of all – so peaceful! Nice work. Scott… Elisabeth Town (E-town) and the rest of Amish country are very beautiful. But really best seen in the Fall at Harvest. Like your Rodeo shots months ago you might see some interesting "fashion" that everyone in NYC is trying to gloome(sic) on right now. Like those guys wearing LL Bean hunting clothes in Manhattan. And the food and apple pies are to die for. Wait till Fall. Thank you to sharing these fabulous photos, you are an amazing photographer with a special fashion sense…..and I love to have a pick of your life-environment everyday! 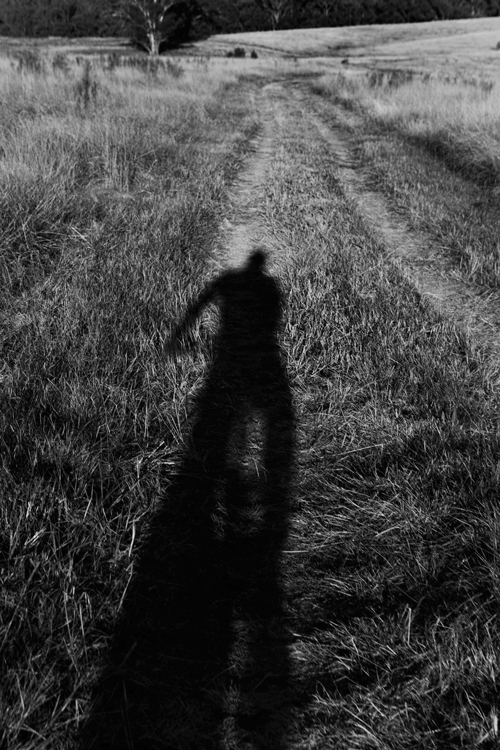 The b/w shot with the shadow of you on the bike is fantastic. I am a cyclist, and this shot reminds me of the end of a long day in the saddle…when you are exhausted and happy. As for Amish country; it is truly beautiful, in a soft kind of way, but the poor Amish won't be photographed. However, there are conservative Mennonites who will allow their pix to be taken- if you go you can get the details on the difference… beautiful, bucolic times. As for other pastoral scenes, how about The Netherlands in early summer? lovely…. For a surreal and very beautiful Australian outback experience try the opal fields of Lightning Ridge – a portrait photographers dream. I love that you appreciate the natural beauty of Australia, a country so often overlooked in the art world. Your photos from Sydney always have me double-taking, "That's not Australia…?" I live in Australia and we have many beautiful places… I used to live in the nations capital, Canberra, and occassionally when I rode to work I would see kangaroos or wallabies as they bound past. Captivating. how about the amana colonies in iowa outside of cedar rapids… mmm? you'll see why i need pages like yours to get fashion inspiration, because I'm definitely not getting it around here!